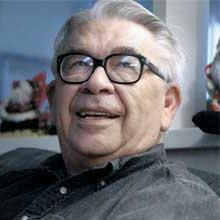 "Vine Victor Deloria, Jr. (March 26, 1933 – November 13, 2005) was a Native American author, theologian, historian, and activist. He was widely known for his book Custer Died for Your Sins: An Indian Manifesto (1969), which helped generate national attention to Native American issues in the same year as the Alcatraz-Red Power Movement. From 1964–1967, he had served as executive director of the National Congress of American Indians, increasing tribal membership from 19 to 156. Beginning in 1977, he was a board member of the National Museum of the American Indian, which now has buildings in both New York City and Washington, DC. He was influential in the development of what scientific critics called American Indian creationism, but which American Indians referred to as defenses against scientific racism." "Vine Deloria Jr, Creationism, and Ethnic Pseudoscience" (H. David Brumble, Creation/Evolution Journal 18(6):10-14, November-December 1998.